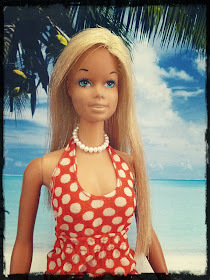 MiShel Designs: I'm a Mini-Hoard-A-Holic?? I believe that a bit of a confession is in order. 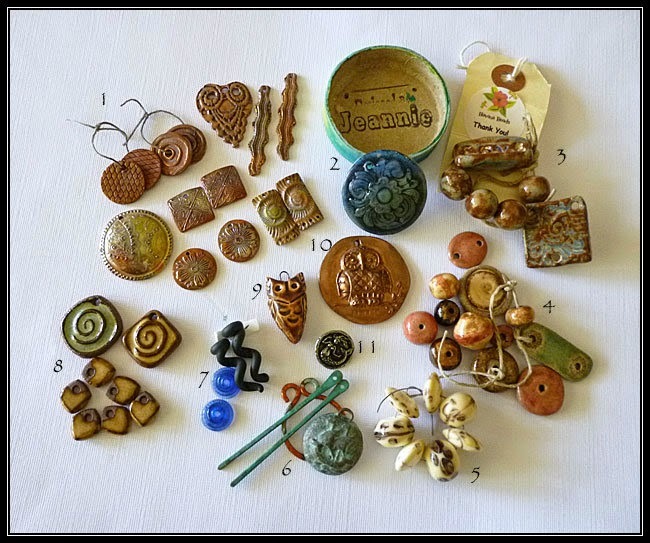 I'm sort of a 'mini-hoard-a-holic' when it comes to art-beads and artisan crafted components. I guess that's not a full-hearted confession, but that's because the reality of the matter is just starting to sink in and I don't consider the number I have to be astronomical or anything like that. In other words, I don't profess to have tons of art-beads and artisan components begging to be put away or sorted through. 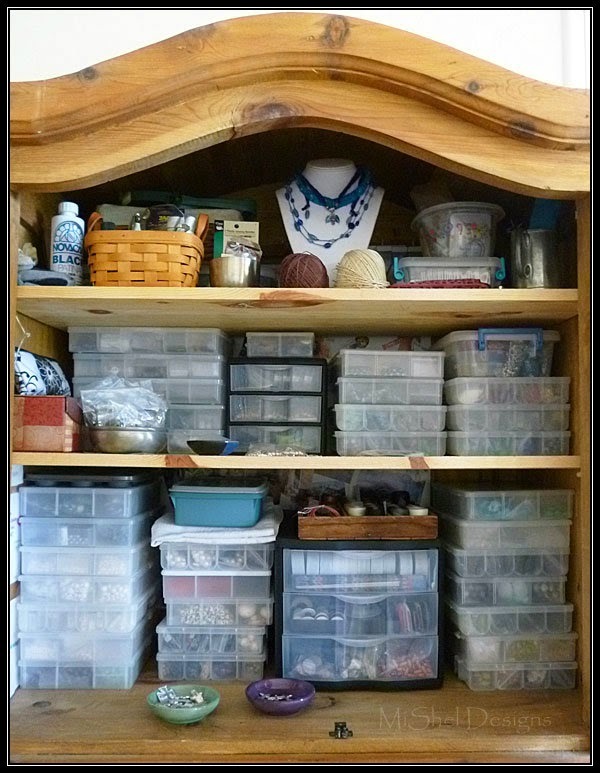 Heck, I wouldn't even consider my entire bead stash to be that large since it fits quite nicely into the top half of an armoire that sits in my bedroom (aka - studio). See, I told you it wasn't that bad. It's pretty 'average' if you ask me. 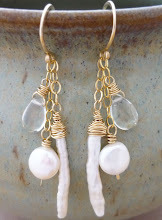 Or even on the 'small' side considering I've been collecting beads and creating for over two decades now! My hubs refers to me as the 'pack master', so everything is very well 'placed' inside those containers. Granted, this is only the beads and cords portion of my supplies. My tools, fabrics, leather, etc., are strategically placed in drawers, sewing boxes and other places. I mean, despite my complete pearl obsession, I don't even have a super-huge stash of pearls. Only 11 of those bead bins are full of pearls. So no, I don't have the 'I have too many beads and not enough storage room' problem (although that might be a rather fun problem to have!). 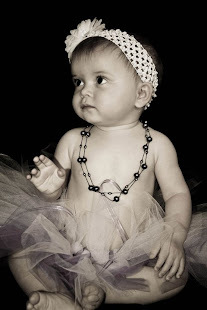 But I used to hoard pearls like crazy! I used to open my little bins of pearls and just look at them, (and touch them!!) not wanting to use them in designs because then I wouldn't have them anymore. It's a sickness I tell you,...a true sickness! Slowly, over the years, I've been 'letting them go' and putting more pearls into my designs. Almost all of my designs have pearls in them these days actually. Anyway, I do however, tend to hoard the art-beads and artisan crafted components that I purchase. Not on purpose mind you. I buy them because they catch my eye and they're just too cool to pass up. But then I get them and I either don't know how to do them 'justice' in an equally cool design or I don't want to let their gorgeousness out of my sight! 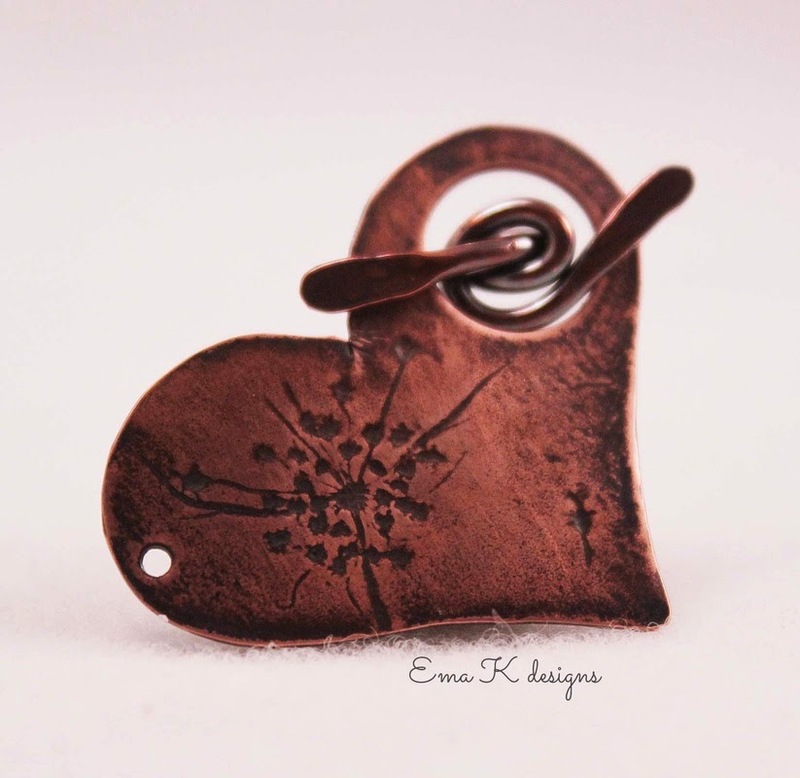 This week I purchased one of Ema Kilroy's super new copper clasps. Isn't it lovely? As fair warning though, I did send Ema a message on her facebook page that I'd try not to 'hoard' it like I did all my other art-components, but that I couldn't make any promises. Here's a few of the artisan pieces I have hoarded collected over the past few years. See, that's not a huge stash of stuff, right? But, I bet you that some of the artists whose beads and components appear in this photo would look at these and say, "Yep Shel, I haven't made those beads/components for couple of years or more. You really have hoarded those, haven't you!?!" So, what's a little hoarder to do? Any suggestions? Do you hoard anything? And I don't mean is your house so jam-packed with 'stuff' that you have to clear a 'fire-path',...I'm just asking, do you sometimes 'keep' certain things because you like them and don't want know how to part with them? I mean, I guess I could use these super cool components in jewelry for myself and justify keeping them that way, but shoot, I don't even make it that far. Sometimes the beads/components/pendants are just so lovely all by themselves that they don't seem to go with anything I try to create. Do you ever have that problem? Is it even a problem or just a sweet little luxury? I guess that's a topic for another post, eh?! I'd love to hear what sweet little obsessions you like to 'hoard'. Little Bits of Hoarded Goodness! Well you have a nice collection of beautiful beads there. I think you should commit to just making one thing with one of those beads and see how you feel about it finding a new home. I know exactly what you mean though. I have kept some treasured pieces for far to long myself. Look how neat your cabinet is!!!!! I am an admitted hoarder, as well. Some of my artbeads...the "special ones", are kept in a pretty ceramic bowel so I can stare at their awesomeness on a daily basis! I sometimes feel that whatever I do with them will not do justice to the bead! Oh my goodness. You aren't bad. I have a whole studio just stuffed with goodies and yet I can't find anything that will work and end up buying more. Oh I HOARD....I have some beads from my mothers broken jewelry I just can't seem to park with. They bring back such memories! Though I am trying to use up other beads I have collected. It isn't easy! And trying to organize as I go...now that is a sickness....lol!